Our neighbors to the east, Utah, will be voting on a fairly tame medical marijuana law next month. If Proposition 2 passes, medical marijuana patients in Utah would not be allowed to smoke marijuana or purchase more than two ounces of marijuana flower or any cannabis product with more than 10 grams of THC. Being sandwiched between Nevada and Colorado, two states that have legalized adult-use marijuana, has certainly affected the people of Utah and made it very easy for them to come pay us a quick visit to get what Utah has refused to give them. Most recently, Utah State Senator Jim Dabakis came and visited a Las Vegas marijuana dispensary to try marijuana for the first time. He shot a Facebook Live video outside the Las Vegas strip marijuana dispensary that lasted a little over 4 minutes and ate half of a gummy on camera. He told viewers that he would wait and see what happened by the pool of his hotel. He assured everyone that he would not be driving or bringing the marijuana gummies back to Utah with him. His interest in trying marijuana and sharing the video with fellow Utah residents was to keep the people involved in the legislative process. 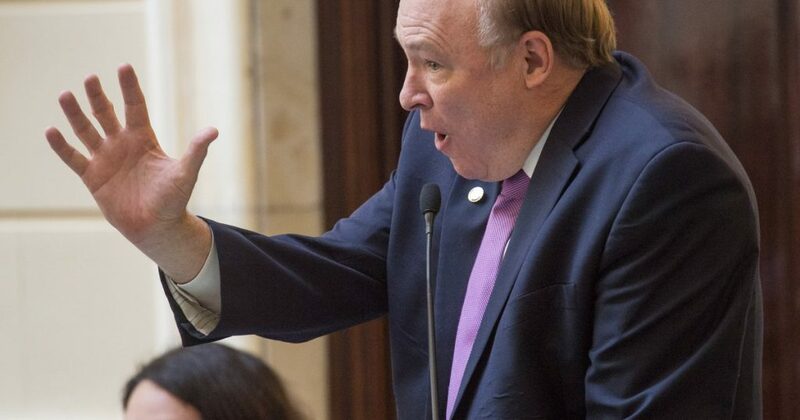 “I thought it was about time that at least one legislator knew a little about marijuana before we changed all the laws,” Dabakis said during the Saturday Facebook Live broadcast. 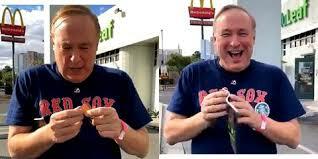 The broadcast shows Dabakis, a self-described “marijuana virgin,” swallowing half a gummy, as advised by a dispensary employee. Afterward, he said, he hunkered down to wait for some kind of sensation. And waited. And waited. Several hours later and another gummy down, he did feel a “little buzz,” but nothing life-altering, he said. Nothing, for instance, that would make him reluctant to pass a medical marijuana program in Utah. In case any of his viewers had concerns, Dabakis rattled off a list of disclaimers during the broadcast: A designated driver was on hand, and no tax dollars were spent. He did not bring any edibles back into Utah and left the remaining gummies in the care of his Las Vegas hotel maid, he said. The issue of marijuana legalization will be voted on by many states during this year’s midterm election. During the video, Dabakis took note of all of the tax revenue that Las Vegas marijuana has brought in for the people in just one year. There are many incentives for the people and elected officials to consider legalizing marijuana and Las Vegas is a great example of those reasons. One of the reasons State Sen. Dabakis was able to enjoy and have such a good first experience with cannabis is that Nevada mandates all marijuana sold commercially be run through a marijuana lab testing facility like DigiPath Labs. Efforts to legalize marijuana have been going on since the early 1970’s and the most recent polls show more support for legalization than ever before. According to Gallup, 66% of voting Americans support marijuana legalization, up from just 12% in 1969. We will have to see what happens after the midterm elections, but mandating cannabis lab testing ensures that states are following best practices in product business as if it were legal on the federal level.